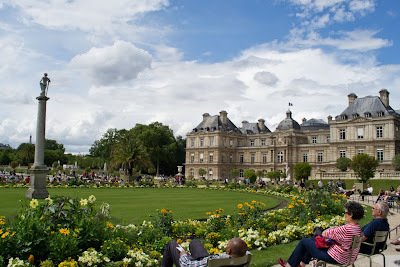 I had a lovely time in Paris, even though I was pretty unlucky with the weather. Walking around in the rain wasn’t much of a problem, but the dark grey skies made for some less than ideal photos (this is why I made some of then black and white, by the way - because the colours looked awful in that light, and not as an attempt at insta-artsyness). But the rain is only a small detail of an otherwise perfect weekend. There’s so much I want to tell you and show you that I’m afraid this post will be inevitable long. Apologies in advance! A museum of letters and manuscripts would certainly have been included in my itinerary, if only I hadn’t somehow missed it when doing my research. As I’ve explained before, I love the little jolt that looking at handwritten material by artists and historical figures gives you - the moment when it really hits you that they were human and were once alive. 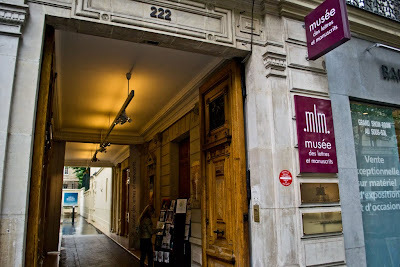 This museum had an amazing collection of letters and manuscripts by the likes of Byron, George Sand, Colette, Rousseau, Victor Hugo, Baudelaire, Jules Verne, Proust, Dickens, Charlotte Brontë, Mozart, Beethoven, Monet, Van Gogh, Thomas Edison and Einstein - and this just to give you a few examples. 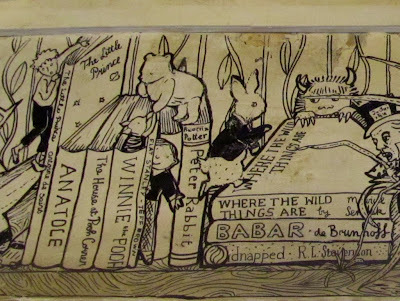 Drawings by Antoine de Saint-Exupéry. So yeah, finding this place by chance would have been enough in itself to make my whole weekend. But that’s not even the best part. 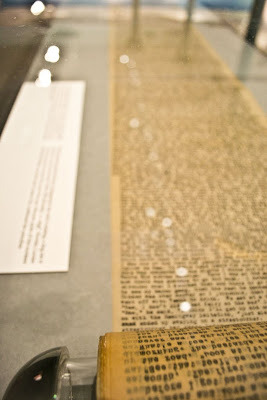 The best part is that they were having a temporary exhibition about On the Road, to celebrate the release of the Walter Salles film, and the original scroll was right there. I’ve never really blogged about how much that book means to me, but it means a whole lot and seeing the scroll was a Very Big Deal. 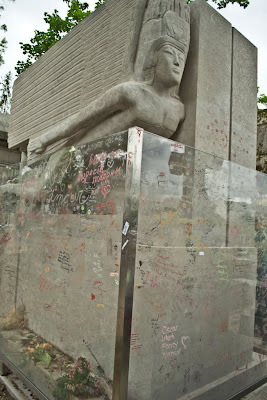 I can’t believe I just happened to find it even though I had absolutely no idea it was even in Paris at the moment. And somehow it was even better this way, like randomly catching your absolute favourite song on the radio. 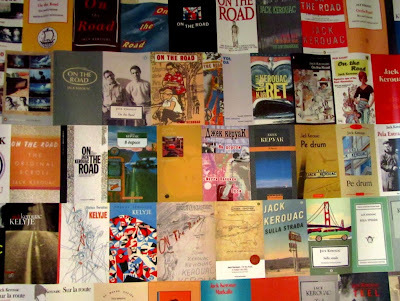 Very cool display of On The Road covers from around the world. 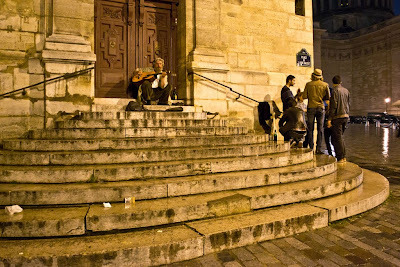 I also happened to find the church steps from Midnight in Paris by chance, when I got sort of lost on my way back to the hostel on Saturday night. 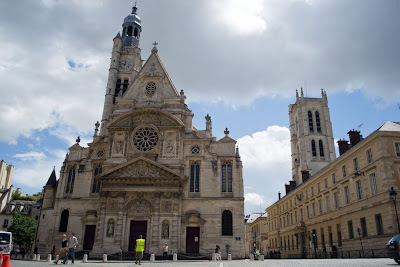 The funny thing is that I gone by the Église Saint-Étienne-du-Mont in the daytime and didn’t recognise it, but late at night it was instantly clear that this was the place. 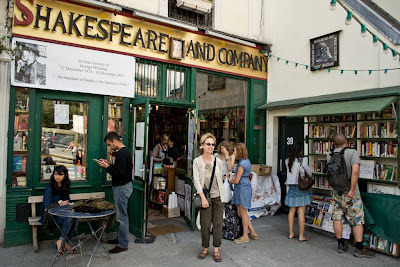 But of course my top bookshop destination was Shakespeare and Company, which was every bit as charming as I hoped. Going there at long last equals one item crossed out of my bucket list. 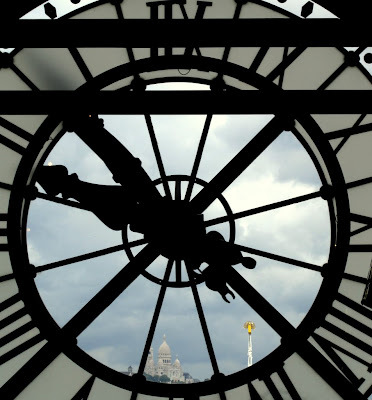 The clock on the top floor of the Musée d’Orsay with Sacré-Cœur in the background. And the view from a window. 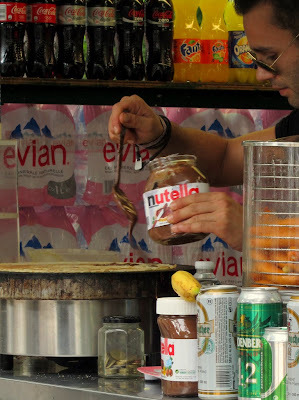 A crepe Nutella in the making. 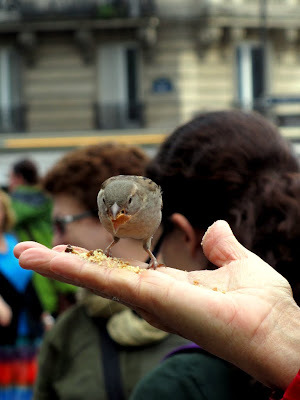 A sparrow eating out of a tourist’s hand outside Notre Dame. 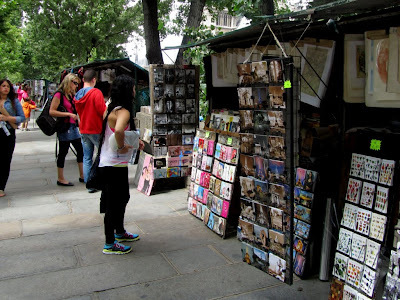 Market stalls along the Seine. Sadly I didn’t go in. Next time! 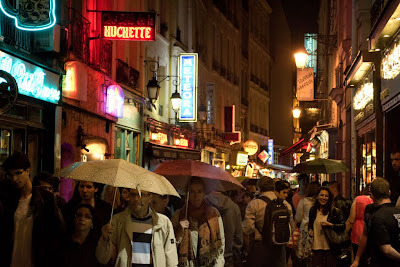 The Latin Quarter at night. A Russian bookshop. 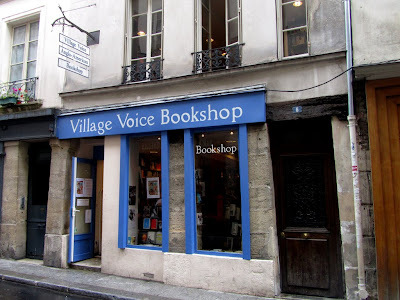 Paris has so many amazing bookshops! 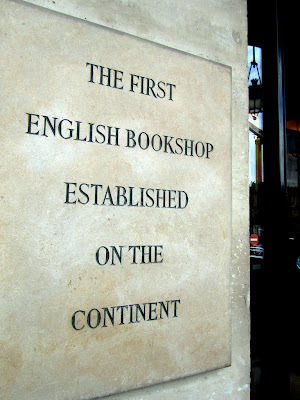 Like the Abbey Bookshop, for example. 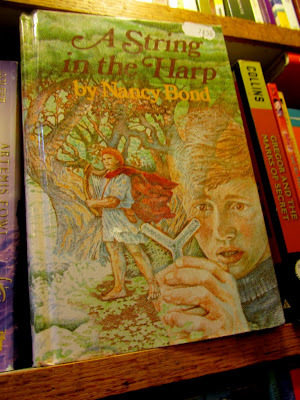 I was so tempted by this edition of A String in the Harp, but this was very much a budget trip and I couldn’t justify spending on a book I already have. 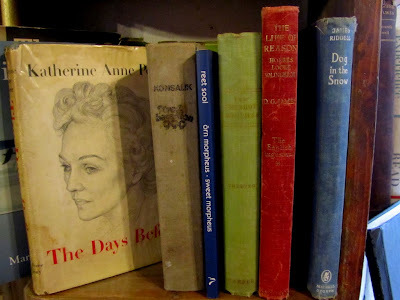 The Village Voice Bookshop was also amazing. They had a list of the readings and author events they’ve had over the years up on a wall, and it’s so sad that a place with so much history is going to disappear. 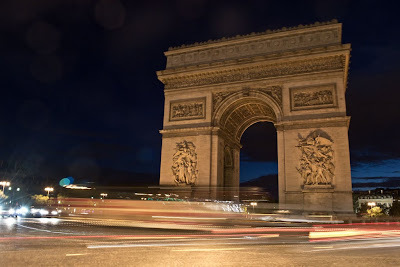 Traffic going by the Arc de Triomphe. 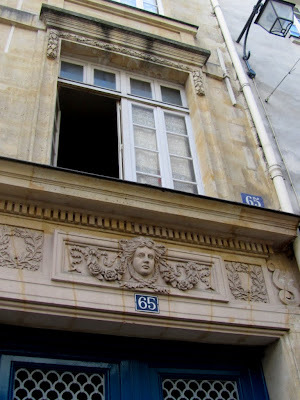 Architectural detail in the Latin Quarter. 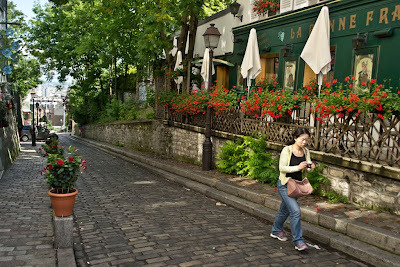 Beautiful Montmarte! 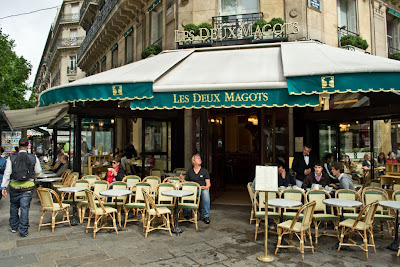 Probably my favourite area in Paris (so far). The view from the dome. But I guess that at least the tradition sort of continues. 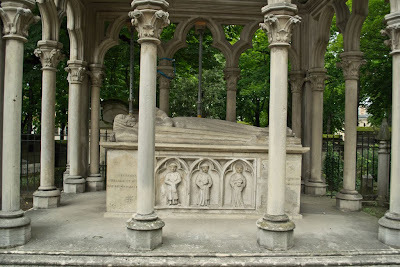 The tomb of Abelard and Heloise. 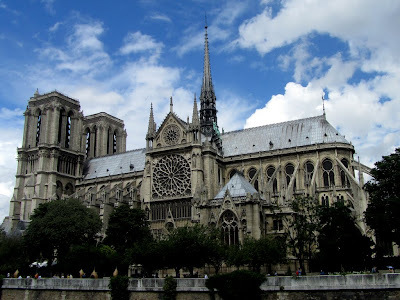 This post is ridiculously long and possibly makes it look like I went everywhere, but Paris is so huge and there was so much I didn’t get to see and do. Next time I want to go to the Louvre and the Centre Pompidou, climb the tower at Notre Dame and get a classic Gargoyle with the city in the background shot, go up the Eiffel tower, devote more time to exploring lovely Montmarte, go to the Marche aux Puces and the Grand Palais... Can you tell I want to go back already? If you made it this far into the post, congratulations! 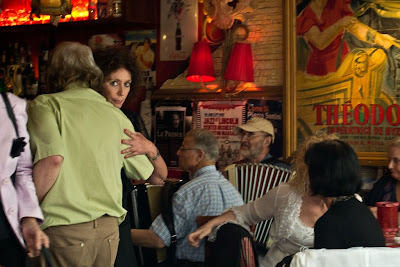 In case some of you are miraculously not tired of hearing me go on about Paris, here are yet more pictures and some more blabbing. 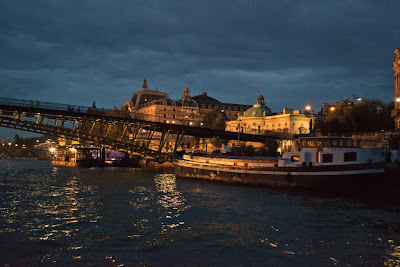 Your photos make me want to jump into the next Thalys and return to Paris again :) The weather doesn't look too bad (and much better than on my second day of the mini-trip I made earlier this year)! 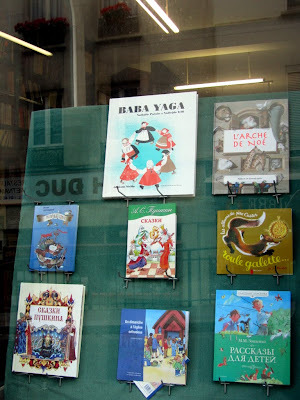 Galignani is really one of the nicest bookstores in Paris, but I had not heard of some of the others. You did manage to see a lot on this trip, and I am sure that you'll get to see all the other museums next time you visit :) Until then, lots of beautiful photos and memories? Yes, exactly - I AM very happy with what I managed to see on this trip, but it also left me wanting more, more, MORE! Which isn't necessarily a bad feeling, I know. 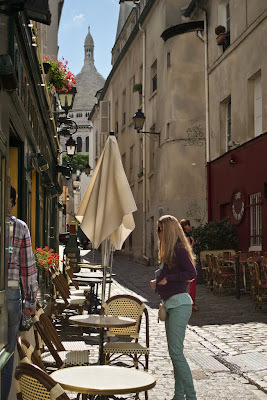 There's just so much to Paris that I can imagine going back at every chance. And yes, there were sunny intervals every now and then and the weather could have been much worse. 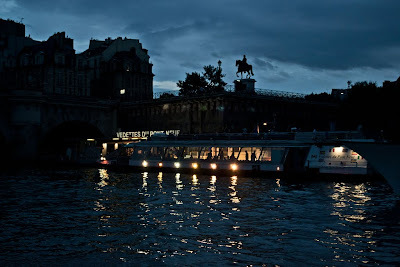 I was bummed that it rained at some of the worst possible moments (like during the Seine cruise or when I was at Trocadero gardens looking at the Eiffel tower), but even that was a minor problem. 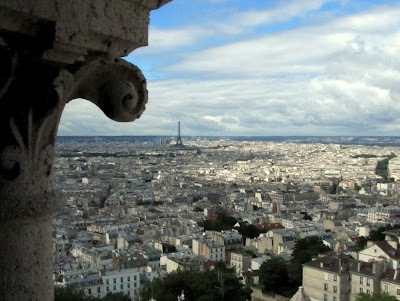 I think your photos are fabulous - they make me want to go back to Paris! 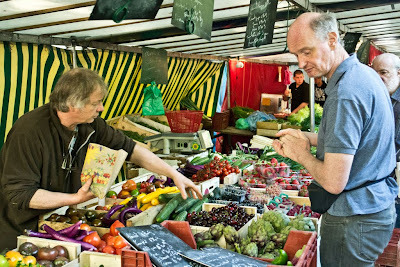 It rained a lot when we lived in France but everyone was used to it and went about their business in the rain. Oddly enough, I don't ever remember it pouring while we were there. Random discoveries really are the best when you are traveling! Looks like a wonderful time. Lovely! I enjoyed taking this little trip through your photos. I only had one day in Paris years ago and it was rainy, too. I didn't see or do near enough. Thank you for sharing these gorgeous photos. 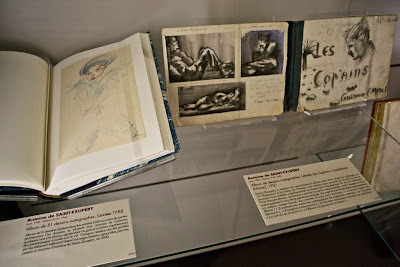 And my eyes lit up when I saw the drawings by Antoine de Saint-Exupéry. 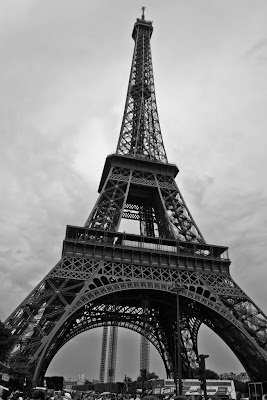 I hope to take my younger daughter to Paris someday. She and I are really excited about it. 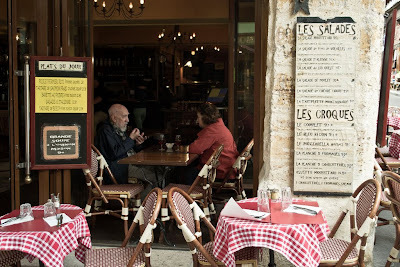 It has been ten years since I've been to Paris, but these photos bring back the feel of the city so well! (and make me wish desperately that i could go back) Such great luck you had. I"m so so happy you had fun. Fantastic photos! Thank you for sharing them with us. Oh wow! It looks like you had an amazing time, and those photos are just gorgeous! 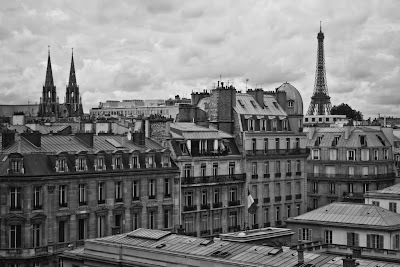 I would love to visit Paris one day. 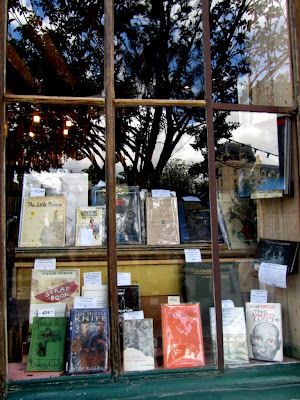 It seems like just the place for a bookish person to get lost in. 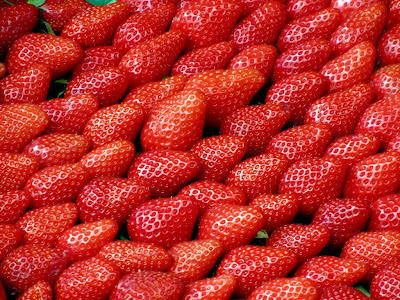 Great post, and fantastic pictures today, Ana! OK, nothing I could say would pay justice to this post. Everything looks perfect and exactly how I would imagine it. Truly GORGEOUS pictures. I just want to crawl inside them. Oh, and now you have to read Le Road Trip. 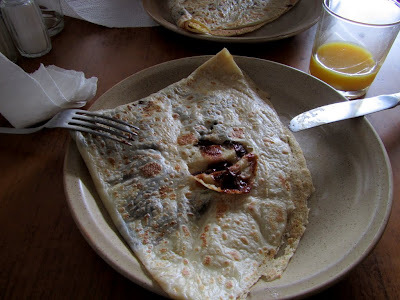 Your photos make me sort of deperate to visit Paris myself! 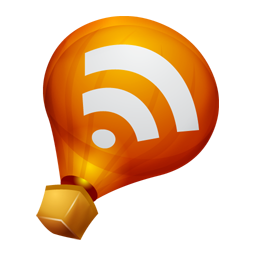 Wonderful write-up! And I need to note everything you aw down to make sure I don't miss out if I visit the city. Wow. I can haz travel envy! You visited some truly gorgeous spots. I'm particularly in awe of all the literary goodness, and I can well imagine how amazing it must've been to simply happen upon ON THE ROAD. I've had that happen a few times with beloved paintings. It never gets old. Those photos actually were pretty stunning. Now I know I must visit Paris someday! ALL THE BOOKSTORES! I can only imagine the treasures that can be found in all those stores. Lovely photos - It looks like you had a really great time. What a wonderful time you had! I hope to go to Paris someday. Thanks for sharing the photos! 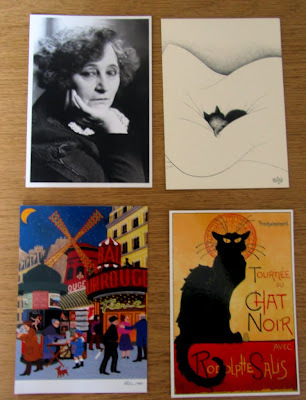 I have a friend who to Paris a few years ago and brought my back that Chat Noir postcard. I keep it pinned up at my desk at work because I like it so much. Lovely photos! 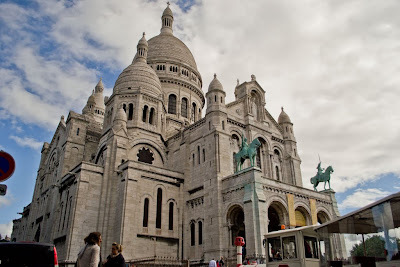 Montmatre is also my favorite part of the city, I love walking through it and then down till the Moulin Rouge, where the best roasted chestnuts are in the winter... need to return soon! No apologies!!! I'd have been thrilled to keep reading if this post was 10 times this long!!! And you know what, Paris is just one of those places where I've never really had any great desire to go. Until now, that is! I can't believe how much you were able to see. I'm so very happy that you two had so much fun!!!! Sakura: I really did! I can't wait to go back. Trisha: Yes, they are! They make things even more fun. Care: I have a feeling that even after a whole week there I'd still think it hadn't been enough! Stephanie: You'll have a wonderful time! 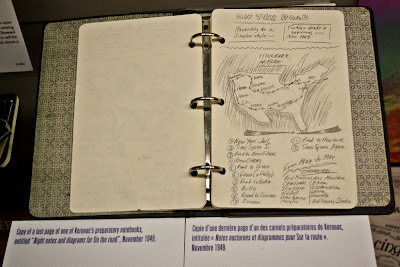 The Saint-Exupéry drawings are part of the permanent collection, so you can see them whenever. Amy: Thank you! I really hope you have the chance to go back some day. 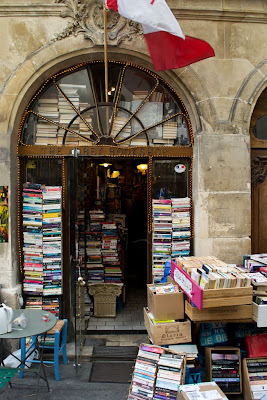 Zibilee: Yes, it's a wonderful city for book lovers! 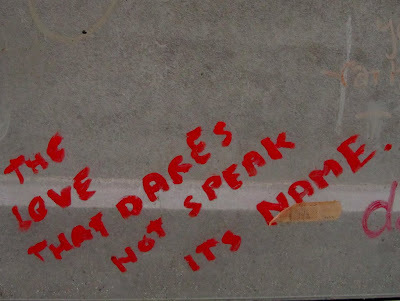 There are treasures in every corner. Memory: It's happened to me with paintings too, and it's always such a great feeling. Stefanie: There was a store in Montmarte entirely devoted to prints and postcards with old Cabaret signs and etc. I could have spent hours there! Alex: I kept thinking how great the city must look in different seasons. I really need to go back! Debi: Paris didn't use to be that high on my priority list until a few years ago, but I have now learned the error of my ways :P It's truly a stunning city. Stu: Thank you! I hope you have the chance to go back soon. 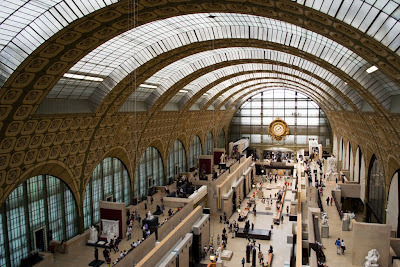 This post is the next best thing to spending a weekend in Paris myself! It could have been twice as long and I would still have savored every word and photo. Thank you, Ana! So jealous! You look to have had a fantastic time over there, Ana! 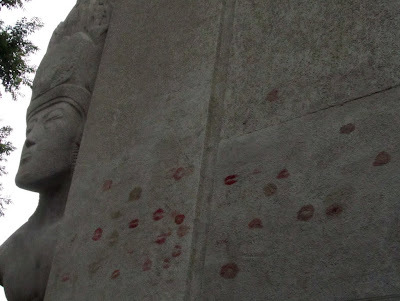 It looks like you had a great time and hit most of the major sites (except for the Louvre). The next time you go you should visit Sainte Chapelle. And Versailles! 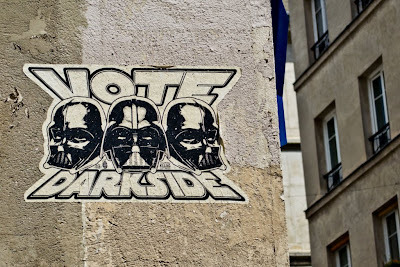 I've never been to Paris, Nymeth, but seeing it through your eyes, I want to go now! Especially all those books! 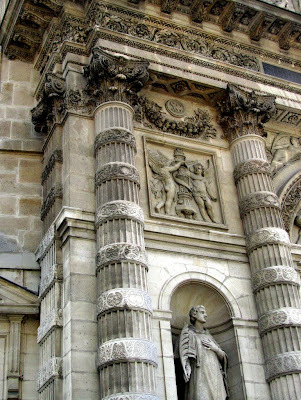 and books stores, and the tomb of Abelard and Heloise - it's gorgeous. Oh, Paris is beautiful though you! Thank you so much for sharing the photos with us. I agree, the postcards you got are stunning. We have Van Gogh's exhibit at our National Gallery of Art right now, that I am going to with my daughter shortly. Your postcard reminded me of it! I'm glad you had such a lovely time, Nymeth, a beautiful short holiday. PS and that museum of letters - I so need to go there! 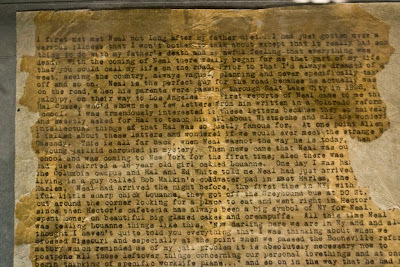 I feel exactly the way you do about seeing the handwriting of someone from long ago, and realizing that they lived, once. What a marvelous find by accident! You could've posted twice (or more) as much, and I wouldn't have minded one bit. 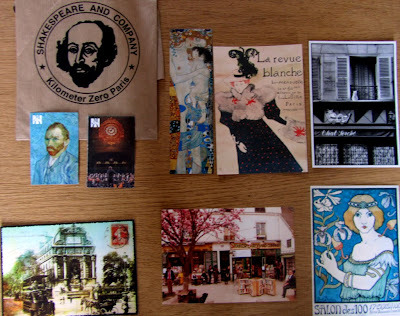 Love the postcards you got- especially Collette and Shakespeare & Co bookstore with the tree. 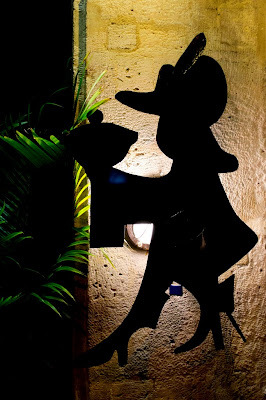 I have one of le Chat Noir- it's one of my favourites. Shame about the weather, but still looks like you had a wonderful time. I would really like to visit Paris some day. Thank you for sharing all these great photos. Gorgeous! You're making me long to hop on a plane and head back to Paris. I'm so glad you had a wonderful time! 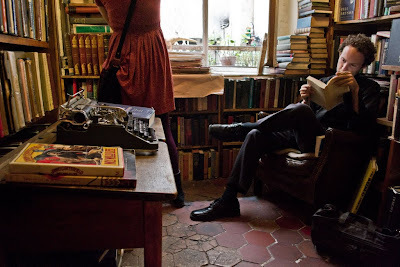 The bookstores, the markets, the letter museum, just amazing. 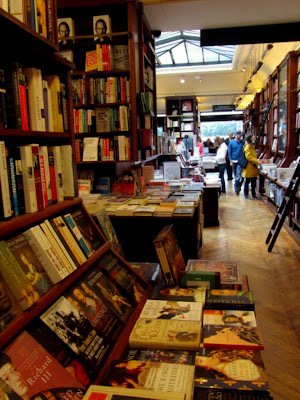 Love those bookstores!! Next time hit the natural history museum ....it's supposed to be awesome. 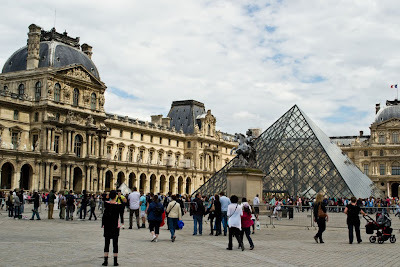 Better yet, Debi and I will join you to do that as well as the Louvre! JoAnn: You're most welcome! I'm glad I was able to give you all a little glimpse of the trip! Chris: Oh yes, you'd definitely love Montmarte! I don't know if I'm just imagining it wrong, but that's how I picture certain parts of New Orleans from your descriptions. Tasha: Yes! And also Giverny. So much more to see - which isn't a bad thing, I know. Susan: Oh, the Van Gogh exhibition sounds wonderful! I got a lump in my throat when I saw Starry Night Over the Rhone, and that's only happened to me with paintings a handful of times. 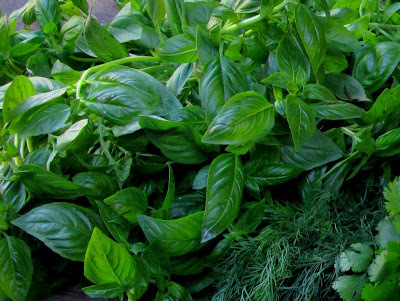 Tiina: Thank you again for your very helpful suggestions! Jessica: Definitely go if you have the chance! It's well worth it. Melissa: It's a book lover's paradise, that's for sure! Melody: I hope you get to one of these days! Looks like you had a lovely trip! Don't you just love serendipity? That is awesome you came across the letters and manuscripts. 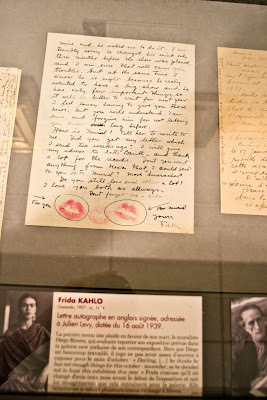 I saw some of Frida Kahlo's letters just a few months ago at a local museum. I stood there and read them all! They were displayed with a series of gorgeous photographs of her and some of her with Diego. Fantastic photos! Made me almost feel as though I was there, but no quite! I would be happy with Paris in just about any weather I think! Glad you get some bursts of sunshine at least. If I ever get to go to Paris, I am totally going to use this post as my guide. Paris is such a magical place and I cannot wait to go there. 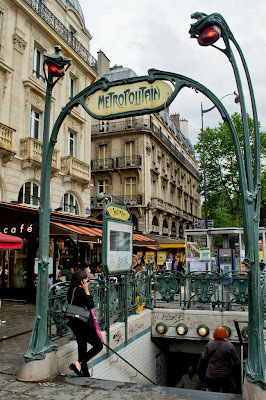 Maybe next year when I travel to Germany on business I will find my way to take the train to Paris. What a wonderful trip and thank you so much for sharing it with us. So many lovely photos, memories, and serendipitous moments to reflect on.